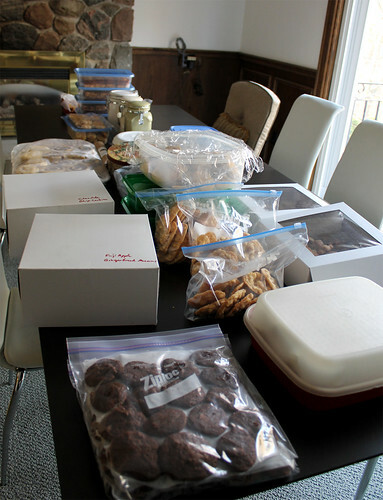 Wordless Wednesday #93: Cookie Day! Well, we've come to the end, the last cookie of my Twelve Cookies of Christmas. And I bring you an especially festive cookie for the holidays. I first made these three years ago, when I saw them in my December 2009 issue of Bon Appetit, and decided to bring them back this year. One of my favourite flavour combinations is chocolate peppermint. For some reason, chocolate peppermint particularly makes me think of the holidays and winter, perhaps because of that refreshing burst you get from the mint, like a cool breath in your mouth. 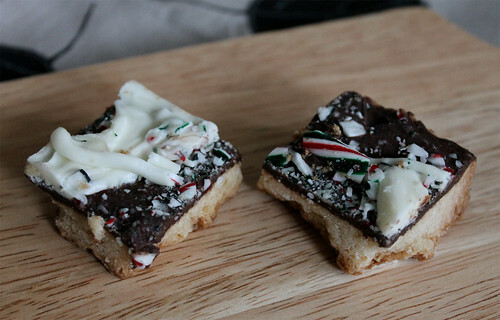 With the addition of candy canes, it makes these cookies especially festive. 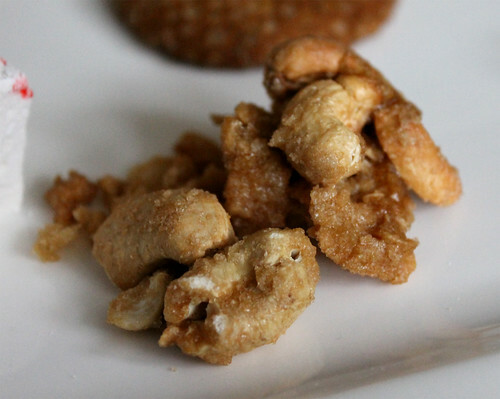 These candied cashews are the second non-cookie item on my holiday baking list this year. I already had a confection added to the line-up (see Peppermint Marshmallows), so I wanted to have some spiced or candied nuts to mix things up a little. 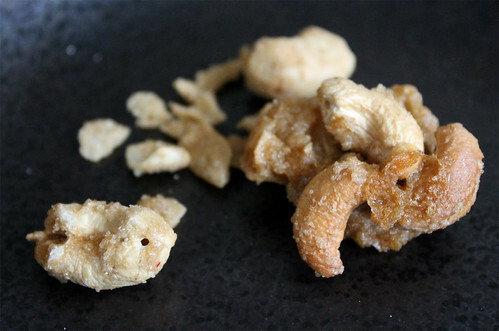 At first I wanted to do some spiced pecans, but quickly changed my mind when I came across a recipe for Candied Cardamom-Coconut Cashews. The coconut and cardamom gives these candied cashews an exotic, tropical twist, and smell absolutely incredible. What's so great about these is that they are so easy to make and keep very well, so you can make them well in advance during the holiday madness when life gets busy. 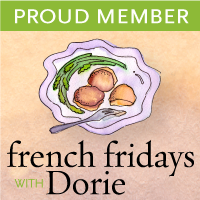 I got the recipe from the amazing Alice Medrich and her most recent cookbook Sinfully Easy Delicious Desserts. Follow along with my Twelve Cookies of Christmas. Don't let the name Pierre Hermé intimate you. These sablés are surprisingly very easy to make, despite coming from the famed French pastry chef. And these have instantly become my favourite cookie this holiday season. 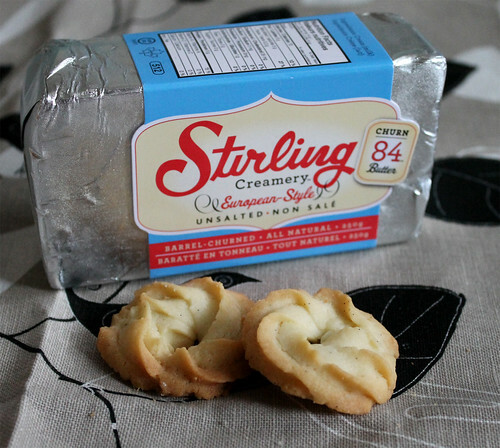 I recently found out that Stirling Creamery will be making their “European-style” unsalted butter Churn84 available to consumers (it was previously only available through Foodservice). Curious about their higher fat content butter, the folks at Stirling Creamery were nice enough to send me a few samples for me to test out. I instantly fell in love with these cookies when I first tasted them last year. A good friend of mine had gifted me with a box of her homemade cookies, which included these Salted Orange Toffee Slices. Along with the cookies, she also gave me a copy of Anna Olson’s cookbook, Back to Baking, where she got the recipe. Orange is one of my favourite flavours, and I’m a sucker for anything salty-sweet. So when it came time to put together this year’s holiday baking list, including these cookies was a no-brainer for me. These are the easiest cookies to make. 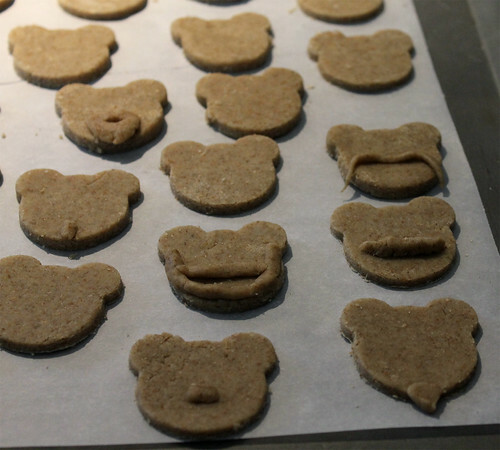 The dough comes together in mere minutes, and because it is an icebox cookie, you can prep the dough in advance and bake them a few days later, or even freeze the dough for some other time. These biscotti have shown up in my past holiday baking because of how festive they look—jewelled with the bright greens of pistachios and reds of dried cranberries. Unlike some other biscotti recipes, which don’t contain some kind of fat content like oil or butter, these ones have olive oil, which adds a lovely fruity touch to the cookies and helps make them tender, instead of the super dry and super rock-hard versions that practically break your teeth when you bite into them. If you’re into melt-in-your-mouth cookies, then these ones have your name written all over them. 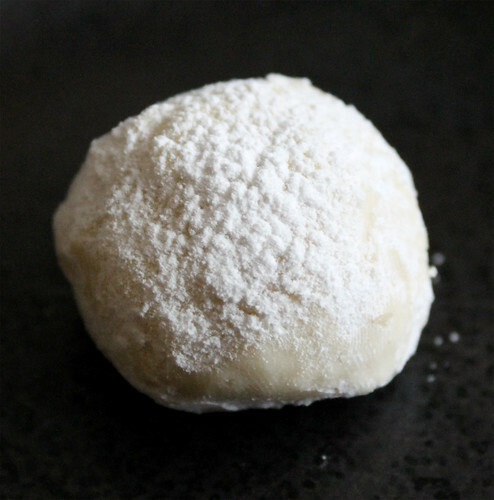 Also known as Mexican Wedding Cakes or Russian Tea Cakes, these cookies are super delicate and take a little bit of patience to make, especially with the double-rolling in the powdered sugar, but they will be sure to impress once they make their appearance on your holiday table. I love the use of walnuts in these cookies—such a beautiful, subtly sweet nut that smells delightful when baked—although next time I would up the quantity. The white chocolate gets caramelized during the baking process, adding a nice crunchy texture. It took me a while to figure out which sandwich cookie I wanted to make this year. 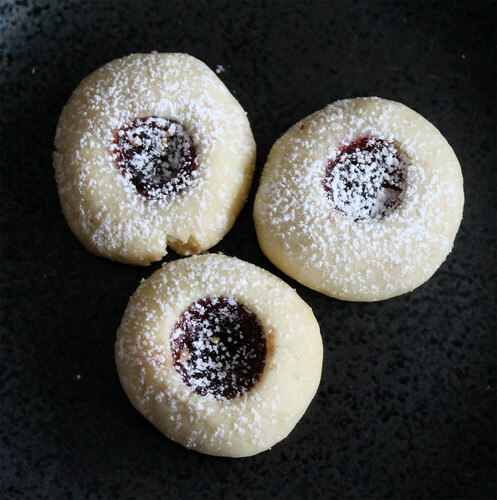 For the longest time, the linzer cookie was the favourite, but in the end I decided to scrap it as I already had a jam cookie on the list (see Raspberry Cream Thumbprints). I also briefly flirted with the idea of making Thomas Keller’s TKOs from his new cookbook Bouchon Bakery, before deciding that wasn’t a wise decision for my Twelve Cookies of Christmas list. 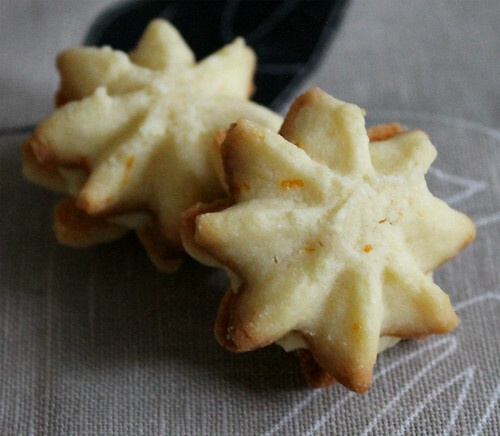 And then I came across this recipe for Orange Cream Star Cookies from Fine Cooking. Perfect. I remember having orange creamsicles as a kid. There was something very satisfying when you bit through that tart, orange layer and got to the creamy vanilla ice cream inside. I’ve played with this flavour combination before with cupcakes, so I thought it would be equally as fun (and delicious) in cookie-form. 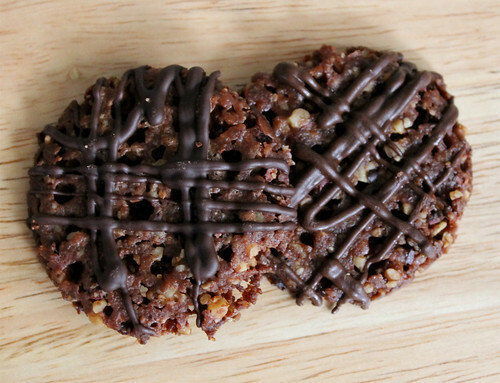 These turtle bars weren't actually on my original shortlist for this year's holiday baking; however, I had received so many compliments on them last year that I decided to bring them back by popular demand. 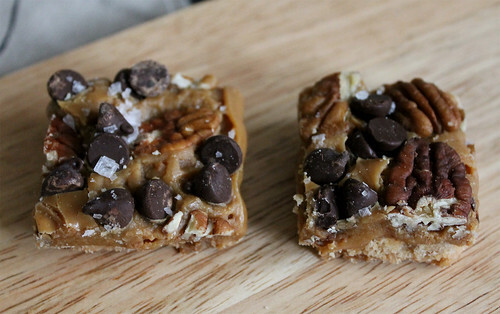 What make these bars so awesome is the incredibly gooey caramel. There are strings of caramel all over the place as you bite into a square. And the caramel itself is deliciously creamy with the addition of condensed milk—an almost cheater’s version of dulce de leche. These were probably the most labour-intensive cookies on my list this year. What had originally started out to be (what I thought would be) an easy project turned into a three-hour-plus affair that took me well into the wee hours of the morning. It's not that the recipe itself is complicated—the dough comes together in a matter of minutes. What takes so long is the actual baking time. Because florentines, like any tuile cookie, spread while baking, there are only so many cookies you can fit on one pan. Then you have to let them cool properly before you can even move them off the pan without deforming then. And being the neurotic baker that I am, I also had to use a circular cookie cutter to "cut off" the raggety edges to get as close to a perfect circular cookie as possible. All those different steps and waiting adds up. (I should also add that the recipe made a LOT more dough than I thought it would on paper, which meant that it felt like the never ending bowl of cookie dough). I usually have two or three non-cookie items on my list to mix things up a bit. I made homemade marshmallows for the first time last year and was surprised by how easy they were to make. If you've never made marshmallows before, it's one of those "must try at least once" experiences. 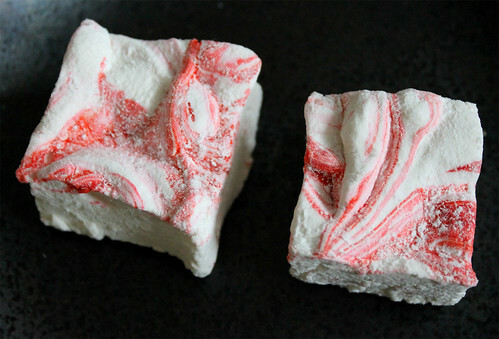 Because trust me, homemade marshmallows taste nothing like the commercial store-bought kind, and will completely change your view on marshmallows. Here's another cookie that doesn't really need an introduction, as I've made these several times before as well. These are such a comfort cookie for me because they remind me so much of those Peek Freans Fruit Crèmes I loved so much as a kid. I would nibble away all the edges until I was left with the sugar-topped, jewel-red, raspberry (or strawberry?) centre (the best part!) before popping it into my mouth. 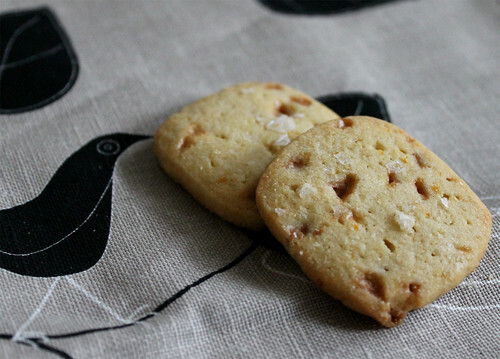 While not exactly like the Peek Freans, the flavours of this cookie evoke the memory of them. You still have your jeweled centre, and the addition of cream cheese in the dough base lends a creamy and subtle tang to the cookie that's reminiscent of the cookie and cream combination. These cookies really don't need an introduction, as they are a perennial on my holiday baking repertoire ever since I first made them a few years ago. Nothing screams more like the holidays to me than a warm oven filling your home with scents of sugar, ginger, molasses, and spices. 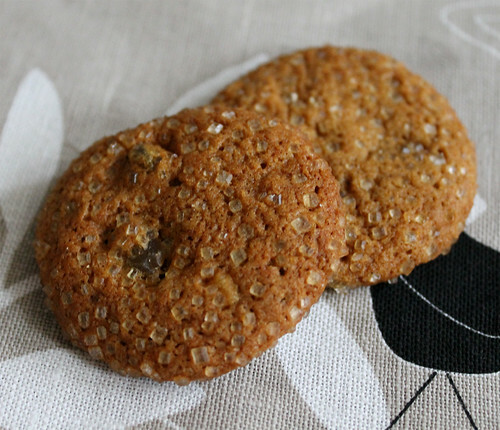 While I'm not the biggest gingerbread fan, these ginger cookies are one of my personal favourites, and I think it's the chewiness of these cookies that is the major highlight for me. 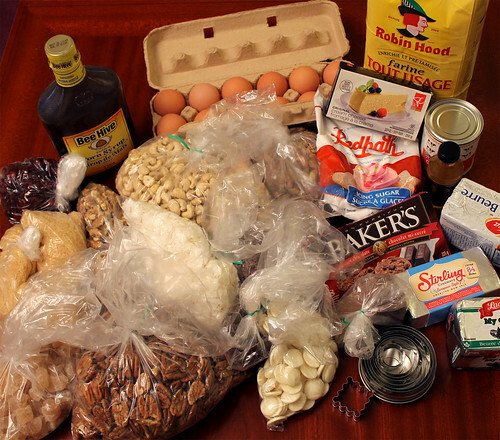 It's the most wonderful time of the year...when I go super holiday-baking-mode crazy. Like last year, I decided on an ambitious list of twelve varieties of cookies and treats for the holiday season—which would give me a chance to make some old favourites, and test out some new recipes as well. It's quite the mix of things I made this year, from bar cookies, to biscotti, to hand-shaped cookies, to confections, and more. So I hope you follow along in these next twelve days to get your fill of holiday cookies and treats. And hopefully you'll try your hand at making a few of these cookies to share with your family and friends (or you know...keep them to yourself).